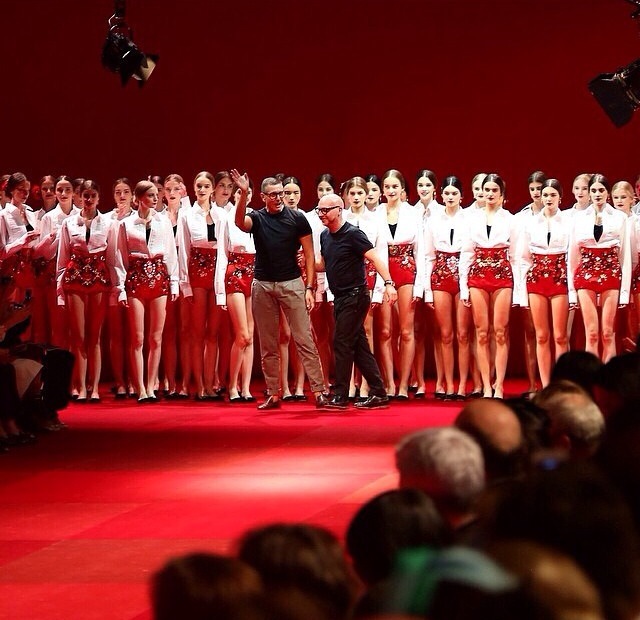 Domenico Dolce and Stefano Gabbana cited the Spanish influence in Sicily between 1516 and 1713 as a starting point for the Italian born brand. Creative Director’s both Domenico and Stefano have the theatre and glitz in your heart and minds with this show stopping collection. And so, too, do that when it comes to your clothing – this other jeweled, smothered, and ornate floral embroidery collection that took its shares sensitivity lace (you can see one of her dresses from a mile away) and transposed weirdly with a Spanish theme. So the colour palette focuses on black, white and red for a lot of lace dresses (which probably is 60% of their womenswear – lets face it) and ponchos covered carnation, bordering swinging away; braid-embroidered matador costumes and belts adorned trophy; polka dot dresses and flamenco skirts; headscarves and carnations are worn on the hair slicked back into severe buns showing no girl is to be messed with. But, as harsh has the hair looked, everything visually was so beautiful – it’s hard not to like lace, gems and flowers when all are executed in a single blow dough like this, but it would be nice to see developed away from purely referential issues – although it very well. To end came the signature Dolce final – a parade of girls in starched white shirts, high-waist shorts and red ballet flats. It was, as always, a spectacle to behold. This entry was posted in Trend Reports and tagged dolce & gabbana, fashion, kendal jenner, milan fashion week, runway, ss15. Bookmark the permalink.